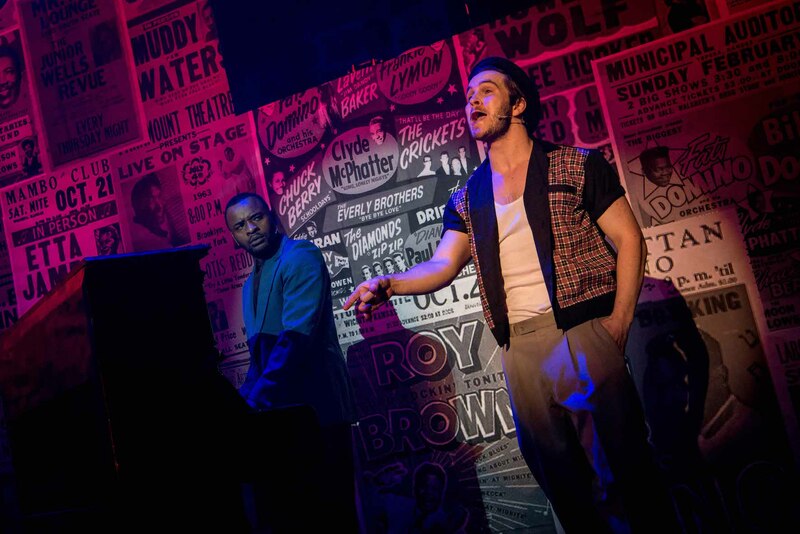 Explosive energy threatens to blow the roof right off the theatre as StageArt presents the Australian premiere of 2010 Best Musical Tony Award-winner, Memphis. Once again presenting a boutique musical with enough power to fill a theatre at least five times the size, StageArt has rewarded local audiences with a thrilling production of the Broadway and West End hit, daring to go where ultra-cautious, revival-focused commercial producers have dared not tread. 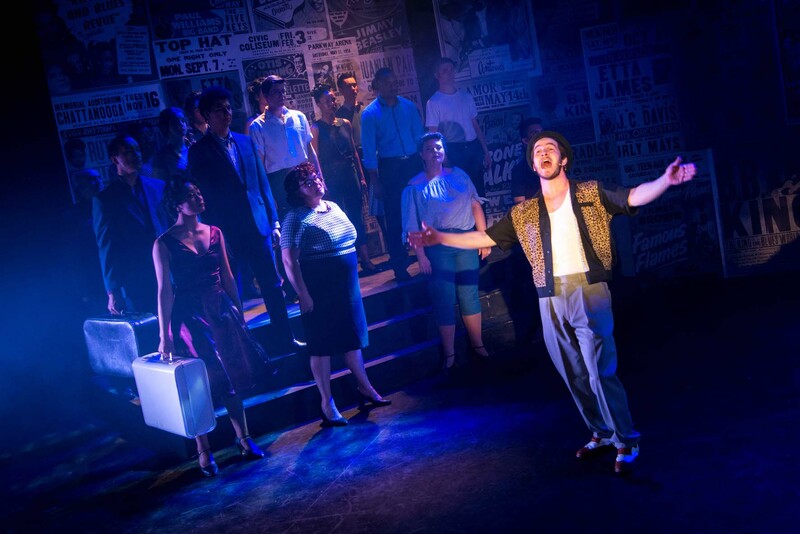 The story of the elevation of coloured music to mainstream popularity in early 1950s Memphis has its casting challenges, and StageArt has taken these gamely in its stride. The result is a terrific company of triple threat talents, anchored by a pair of extraordinary lead performers. Budding radio DJ Huey Calhoun ambitiously and unreservedly pursues his goals of bringing music by black artists to mainstream popularity and making his love, Felicia Farrell, a star. At a time when inter-racial marriage was illegal, the pair face far more daunting obstacles that Laurie and Curly ever encountered; in fact, the story comes to an all too rare bittersweet ending rather than the usual happily ever after. Most of Huey’s success seems to come from his ability to baffle the Memphis establishment into submission with unbridled quirkiness. Joe di Pietro’s book gives us a very unusual leading man, who is successful yet troubled by demons, confident yet frustratingly introverted and loving and passionate yet unromantic. Young actor James Elmer absolutely immerses himself in the role, perfecting Huey’s clenched drawl and distinct lack of charm. Despite the cantankerousness of the character, Elmer imbues enough of a good-natured sparkle in Huey’s eye for the audience to fall in love with him and his dreams. Elmer backs up his acting with a strong singing voice and even better dance skills. Living doll Elandrah Erahima-Feo is perfectly cast as fragile yet feisty songbird Felicia Farrell. 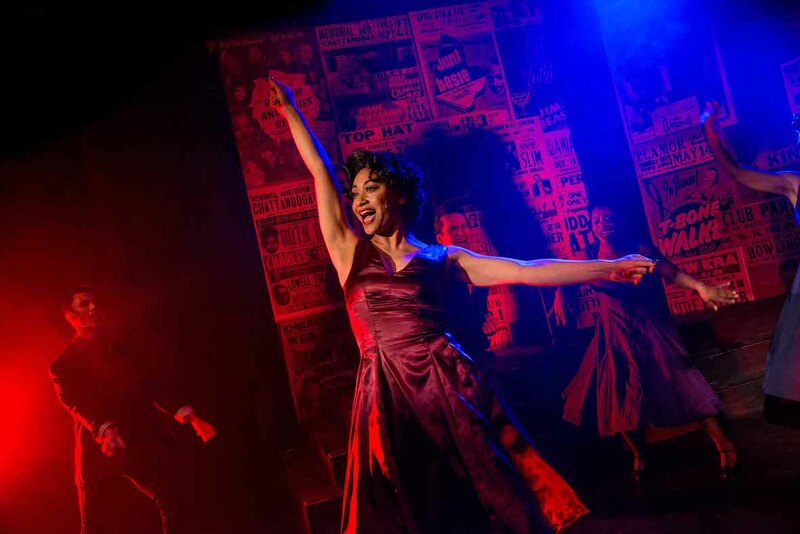 Completely believable as a burgeoning 1950s starlet, Erahima-Feo commits herself completely to the endearing role, breaking audience hearts at many turns. Possessing an incredible belt, Erahima-Feo brings down the house with act one’s “Someday,” repeating the effect in act two with “Love Will Stand When All Else Fails” (an anthem for today if ever there was one). 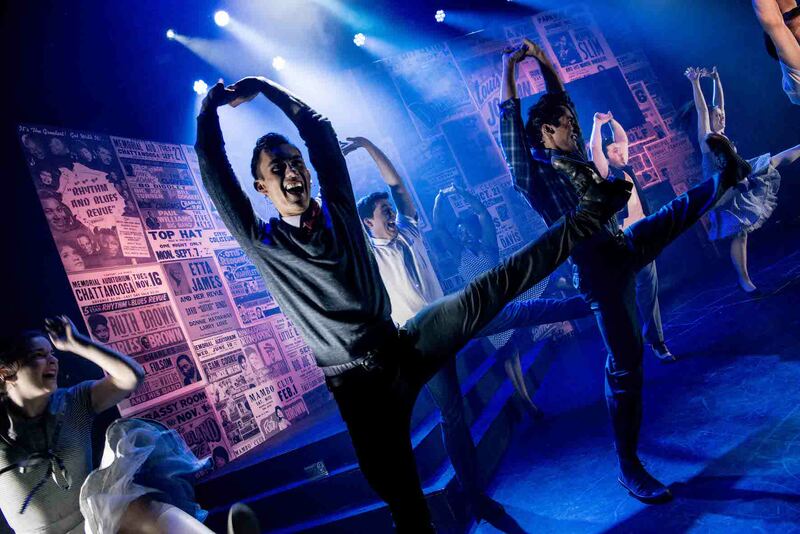 Both Elmer and Erahima-Feo are giving performances that would see them hailed as breakout stars in a mainstage production. Director Dean Drieberg keeps energy high and pace snappy. Memphis tells an American story, yet racism and the quest for civil rights are universal. Drieberg ensures that the racial slurs and the acts of violence land with maximal impact, often drawing gasps from the highly engaged audience. 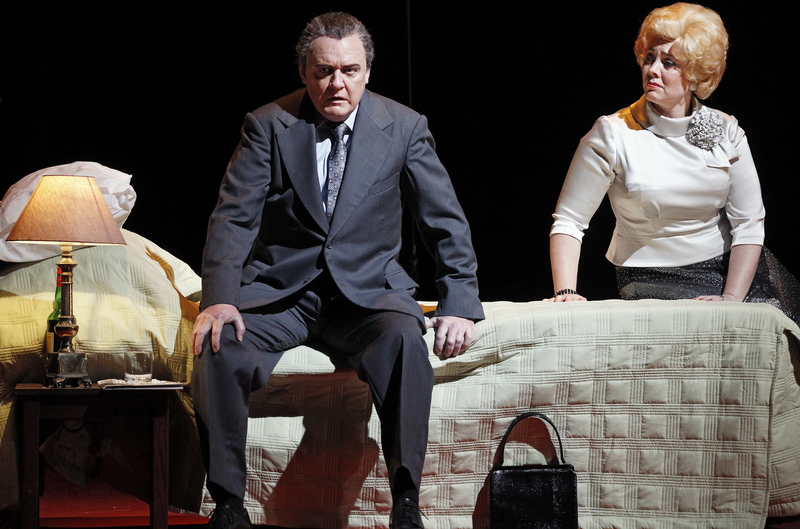 Tightly rehearsed choreography is something of a trademark in StageArt productions. Newcomer Kirra Siebel more than lives up to this standard, delivering eye-popping choreography that is a joy to watch. Towards the end of act one in “Radio,” black and white teens face off on the streets as coloured music grows in popularity. 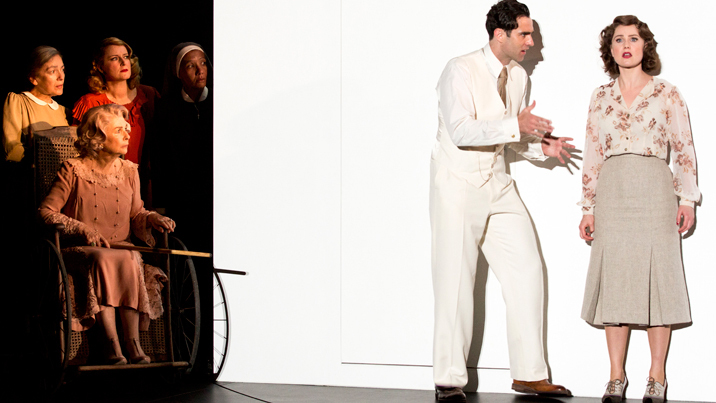 Where the Broadway production used a skipping rope, Siebel has reconceived the number to involve hopscotch to terrific effect. To simply convey the story’s multiple locations, Drieberg has created an attractive, well-made unit set that is papered with a collage of vintage black and white music posters. 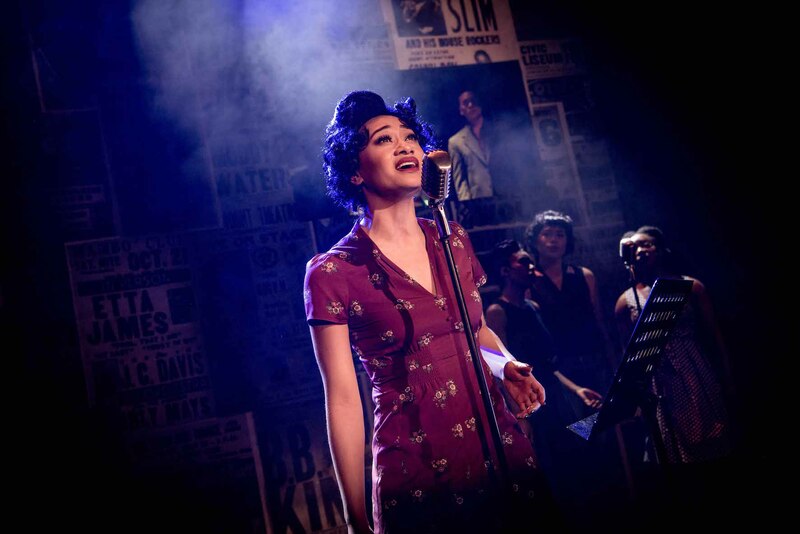 Costume designer Emilija Tanner contrasts the vibrant reds, blues and purples of the coloured cast members with the dull grey attire of white folk who are not lucky enough to have experienced the musical revolution yet. Melbourne’s go-to lighting designer Jason Bovaird has excelled himself again, providing so much rich colour that the static nature of the set is barely noticeable. 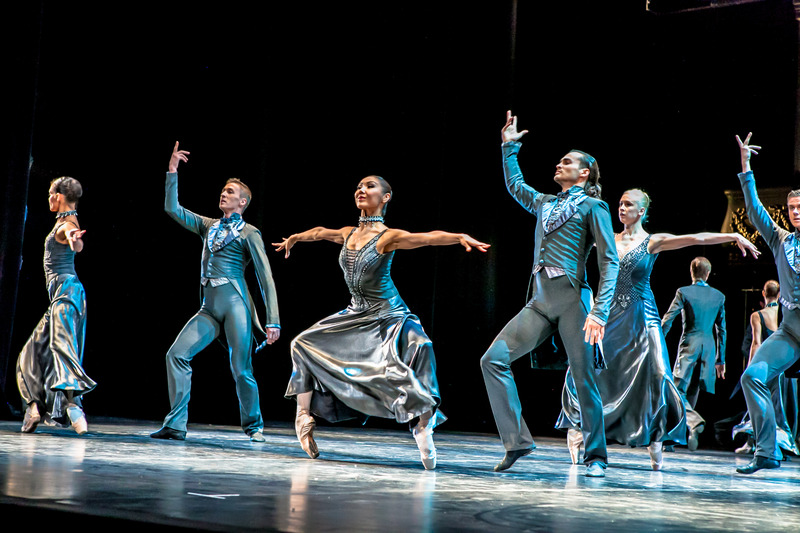 Key characters are neatly picked out in white light in the midst of rich floods of colour, and lighting effects play a significant role in reflecting the dazzling energy and spirit of the characters on stage. Musical director Nathan Firmin, conducting and on keys, displays a keen ear for the era, deftly providing fulsome accompaniment from the band of five musicians. Marcello Lo Ricco’s sound design is reliably pristine. Isaac Lindley is adorably expressive as Gator, a young man who has not spoken since he was five. Mandi Lodge hides her belt under a bushel until finally breaking out and cutting loose in act two showstopper “Change Don’t Come Easy” (yet another anthem for today). Strong support also comes from Iopu Auva’a (as Felicia’s protective brother Delray), Nik Murillo (as hot discovery Bobby Dupree) and Greg Pascoe (in the authority roles, most notably as store owner Mr Collins and Radio/TV manager Mr Simmons). Such is the quality of work by the ensemble cast it would be remiss not to name them all: Lucas Biondo, Bianca Bruce, Tanisha Buhanec, Wem Etuknwa, Agnes Fifita, Laura Greenhalgh, Stephanie Marion Wood, Lachlan Nash, Tsungirai Wachenuka, Callum Warrender, Jason Yang-Westland and Vidya Makan. 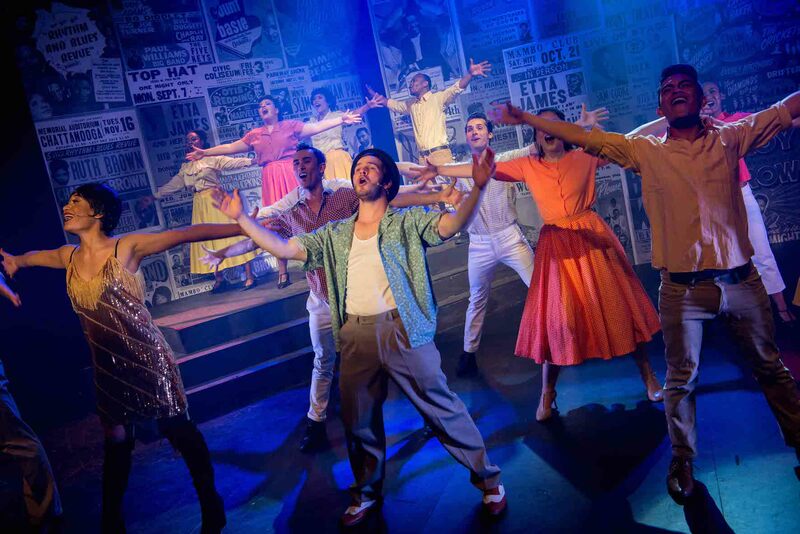 For musical theatre lovers of Melbourne (and beyond), Memphis is a show that simply cannot be missed. 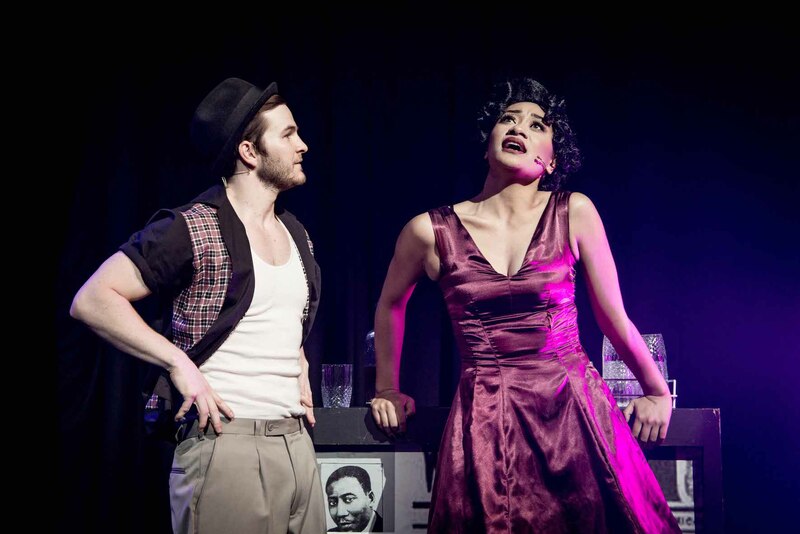 Memphis the Musical plays at Chapel off Chapel, Melbourne until 28 October 2017.